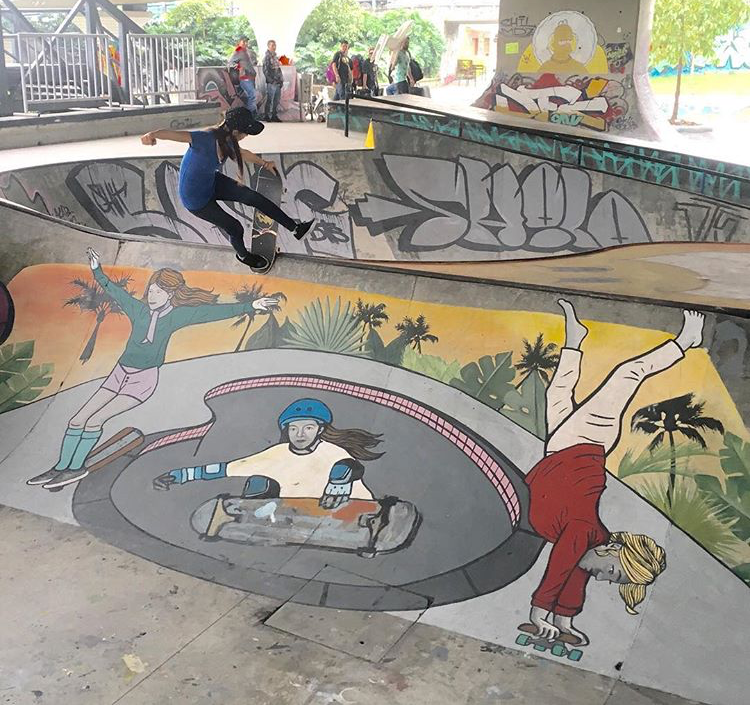 Girl is NOT a 4 Letter Word: Colombia Skatepark Honors 3 Legendary Female Skateboarders. Colombia Skatepark Honors 3 Legendary Female Skateboarders. Poseiden Foundation took a trip to Colombia to help the local people, and pro skater Amelia Brodka posted this amazing photo on her instagram of the local skatepark painted with a beautiful mural featuring not just one, but three female skaters who are important to our history - Patti McGee, Ellen ONeal and Cara Beth Burnside. Nice to see Amelia in there too, ripping right above the entire mural. The mural was painted by Skate Girl Colombia (@skategirlcol) and she did an amazing job!